We had great weather for our last launch of the 2016 season. Temperatures in the 50's with no wind in the morning and very little in the afternoon. It was actually warmer than our launch two weeks ago. This was also our night launch. There was a good crowd as well, at least 80 people (at noon time). There was a big contingent from the Northeastern Rocketry club and the Groveland Cub scouts; also present were groups form WPI and U. Mass Amherst. Jason represented AMW and Jim Flis was there also. We had a total of 228 flights for the day part of the launch ranging from A through I. That may be the most flights for this season. As far as I remember, there were no certification attempts. The night launch is always a lot of fun. 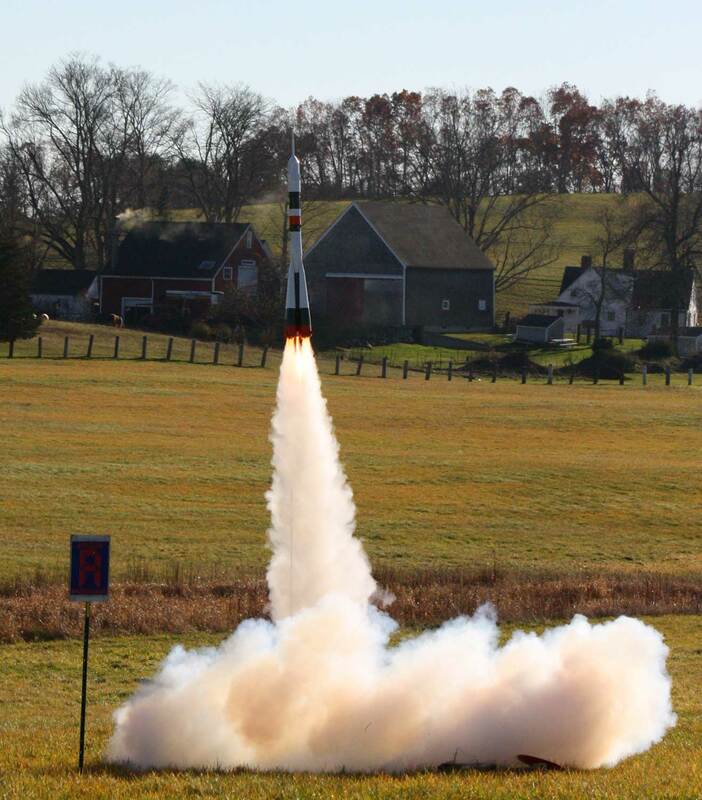 For the second year we were joined by Joe Majahad of NORG - Night Owl Rocketry Guild of Salem MA. There were about a dozen flights, including one of Boris's lit saucers - which is very cool! There are some pictures in the Gallery - add some more! Jim also has some nice pictures up on the FlisKits web site. Thanks to all of the volunteers for all of their work this season. I want to especially thank Kenn, Guy and Alan not only for all of their work during each launch but especially for all of the behind the scenes work they do. Our next launch is the Winter Follies on Jan 21 in Acton.